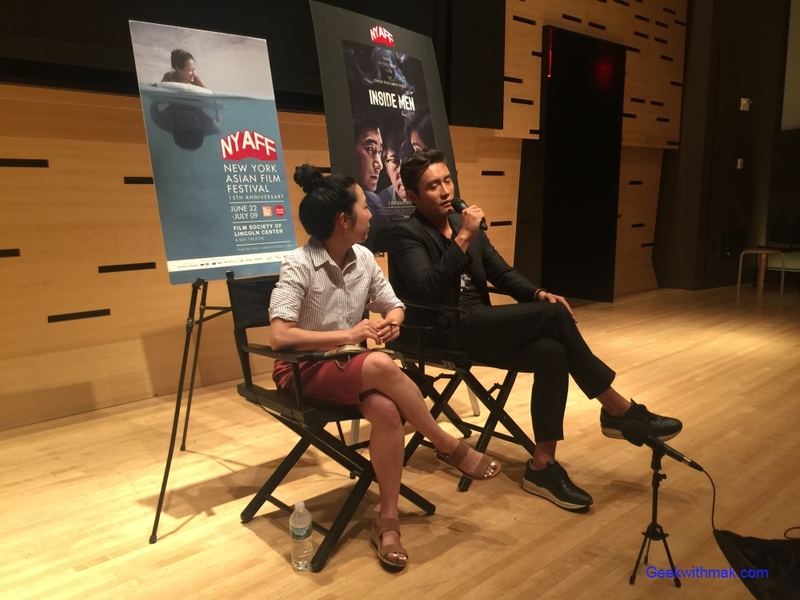 Article by Stephen M. Photos & Videos by Stephen M.
We were lucky to be invited to attend the press round table for Lee Byung-hun whom you may known from such American movies as G.I. Joe, Red 2, Terminator Genysis and the upcoming The Magnificent Seven. 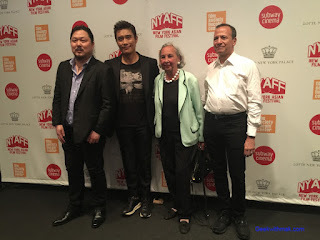 However, as NYAFF Executive Director Samuel Jamier described him, the biggest Asian star they have had on stage at their festival at Lincoln Center and that is right on point. Besides the supporting roles recently in American films, he has been acting in Korea for about 20 years as a leading man with huge box office draw in South Korea. 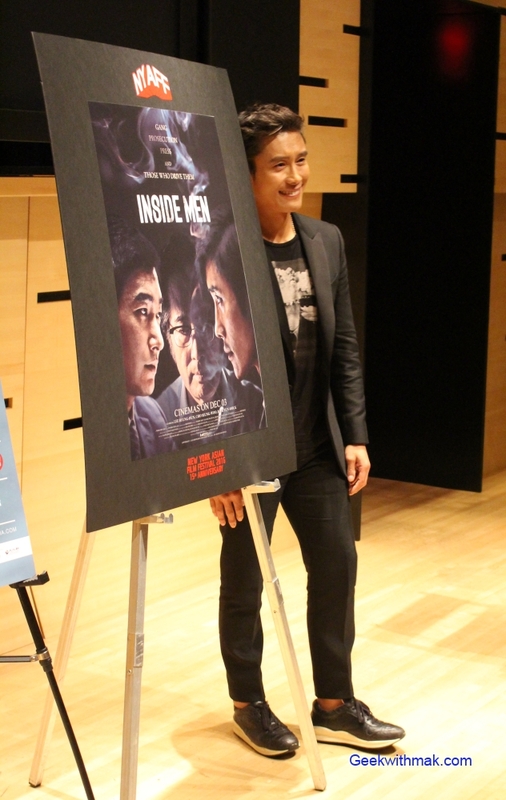 His film Inside Men was also being shown which was the North America premiere. We will post our review for his film Inside Men, but for now on to the interview, exclusive videos and pictures! 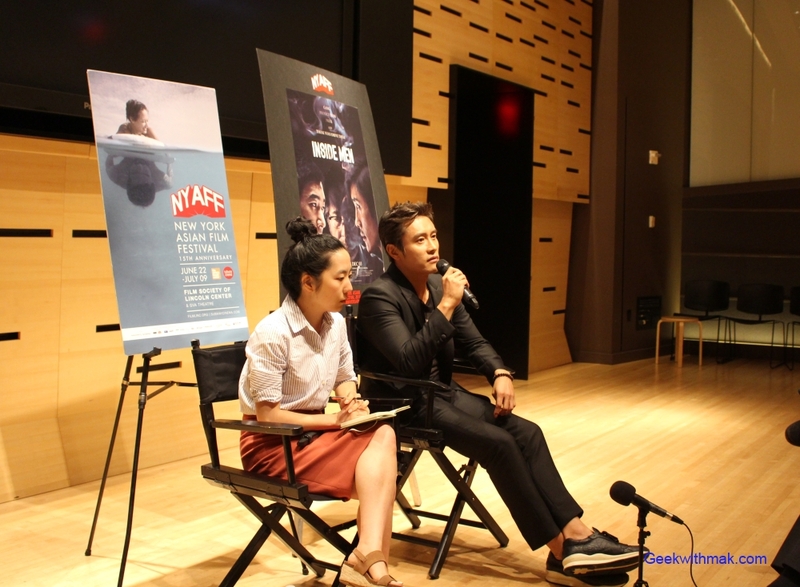 Some of the topics discussed at the press round table included how he got his start into the entertainment industry as well as his motivation for taking on the character for Inside Men. 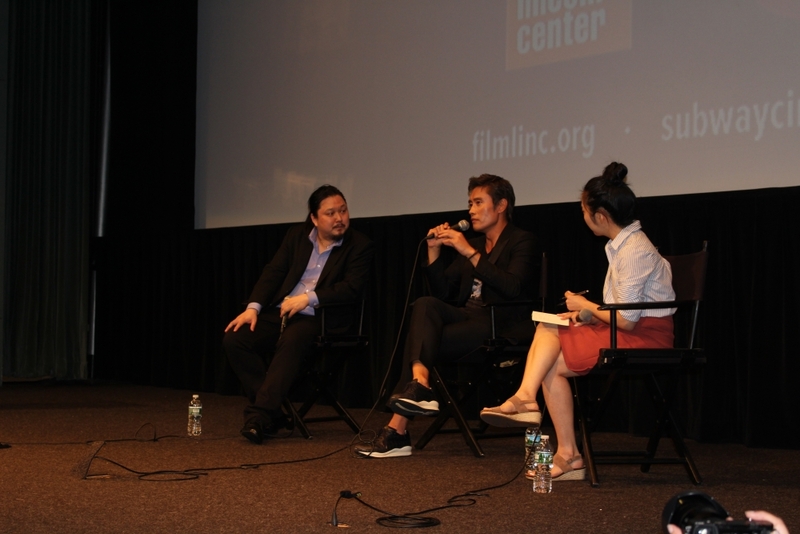 Other topics include his favorite scene which he jokes was not in the two hour version that was shown to press and at the festival. And that there is a 3 hour unedited version. 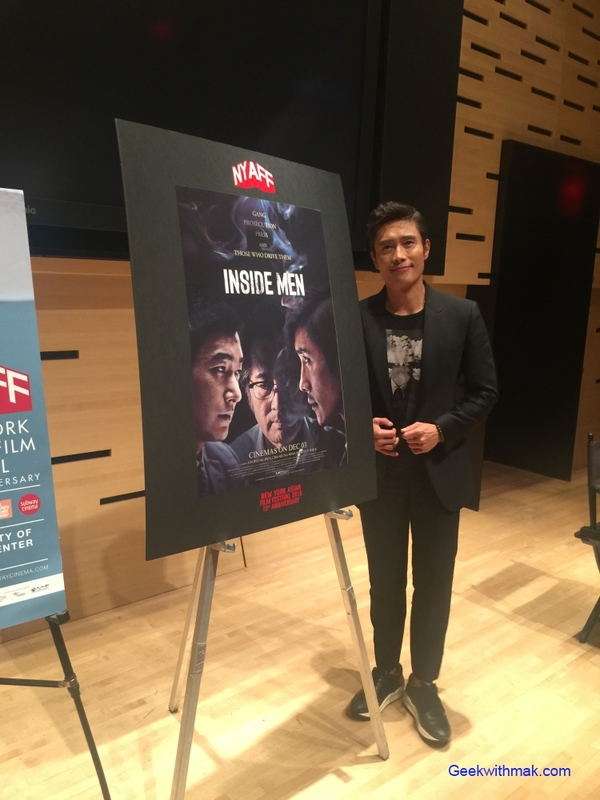 As well, he talks about how he now gets to see other side of supporting actors and their roles in Hollywood whereas in South Korea he started out immediately as a leading man. In regards to the Academy Awards, while he finds it a great honor, it has taken away his joy of enjoying movies as he must now watch movies more critically as a voting member. With regards to what he would be doing if he wasn't acting. 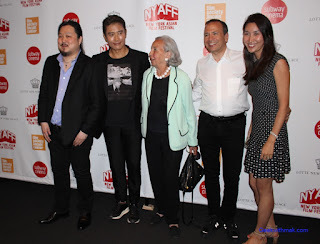 As a youth he enjoyed going to the theaters and probably would like to own a movie theater. 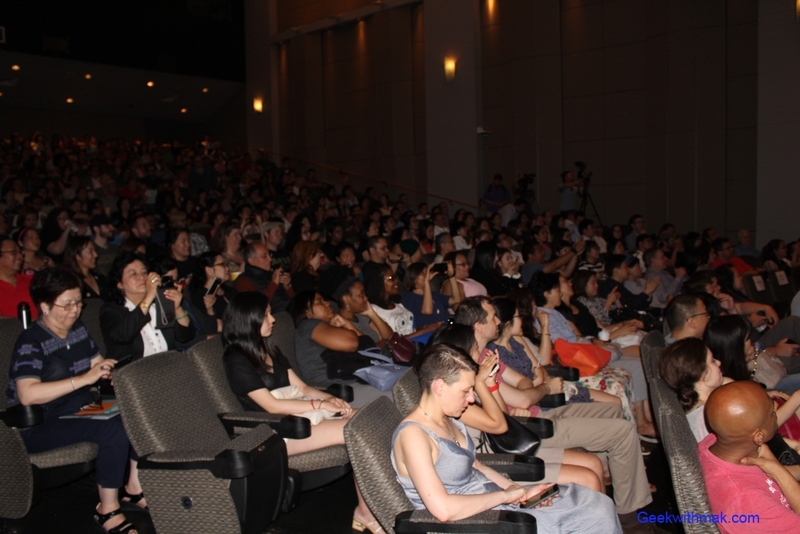 As he is not sure if he was fascinated with the movies themselves or the movie going experience. 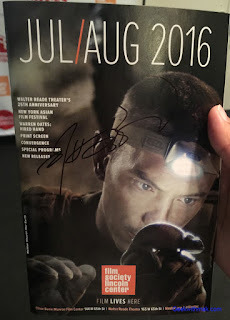 He graciously signed our Lincoln Film Society program! From there it was on to a press photo shoot. 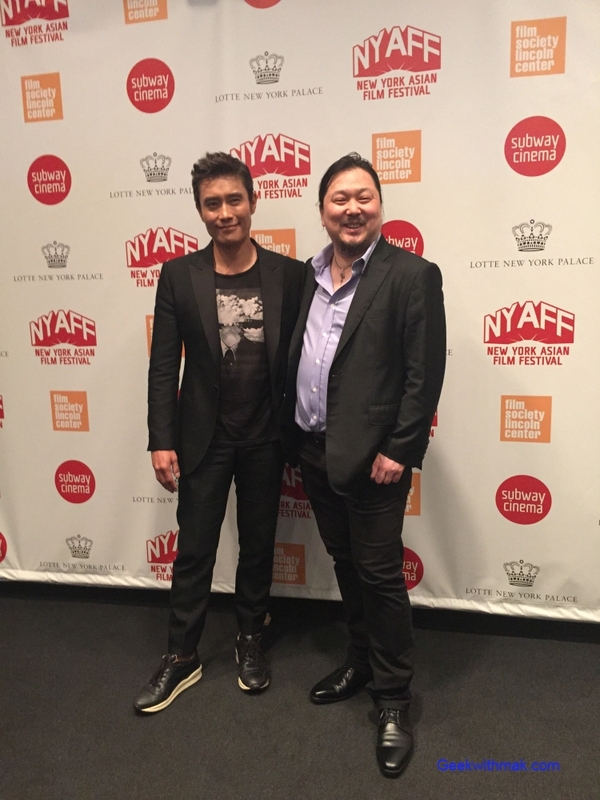 Lee Byung-hun taking some photos with Executive Director Samuel Jamier as well as long time sponsors of the Film Festival. 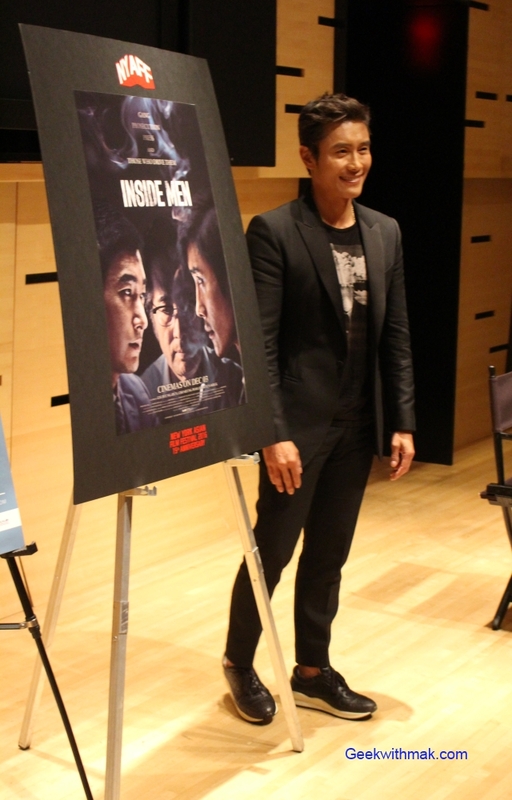 Lee Byung-hun greeting festival organizers, sponsors, press and fans after the press photo shoot. 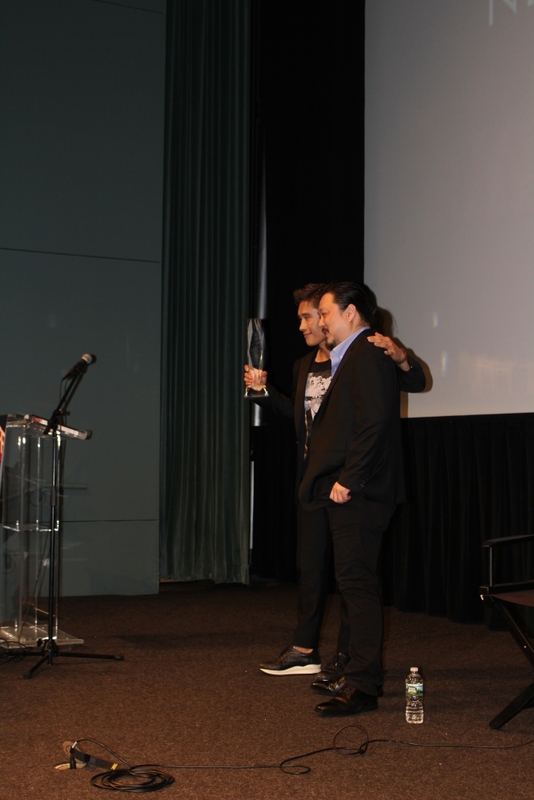 Lee Byung-hun accepting his Star Asia Award from NYAFF! His wife to the prodding of Byung-hun make a quick cameo in which he replied "Awkward..."
After accepting the award it was on to the Q&A with NYAFF Executive Director Samuel Jamier. 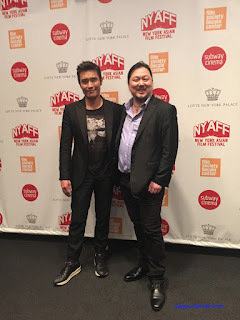 Many thanks to the Lee Byung-hun and the festival. 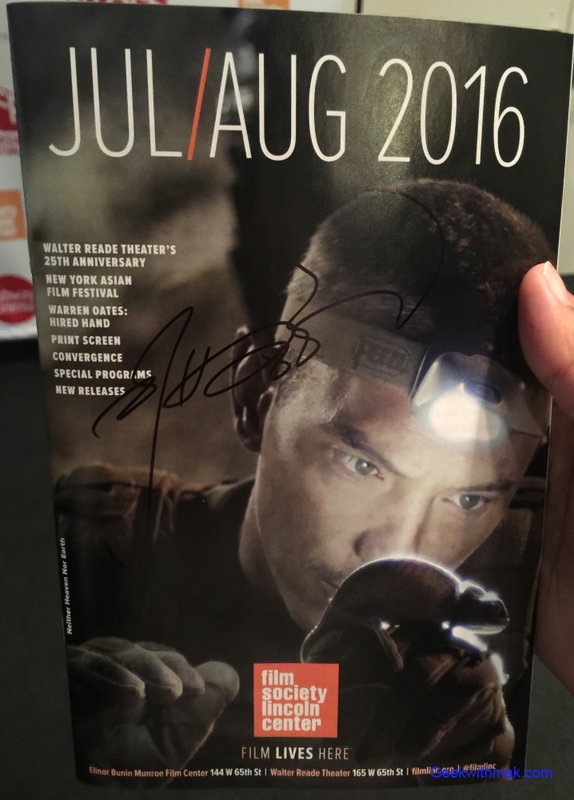 We look forward to seeing him in The Magnificent Seven later this year!